Today we visited Woodhorn Museum in Northumberland to see the new temporary exhibition Brick Dinos. 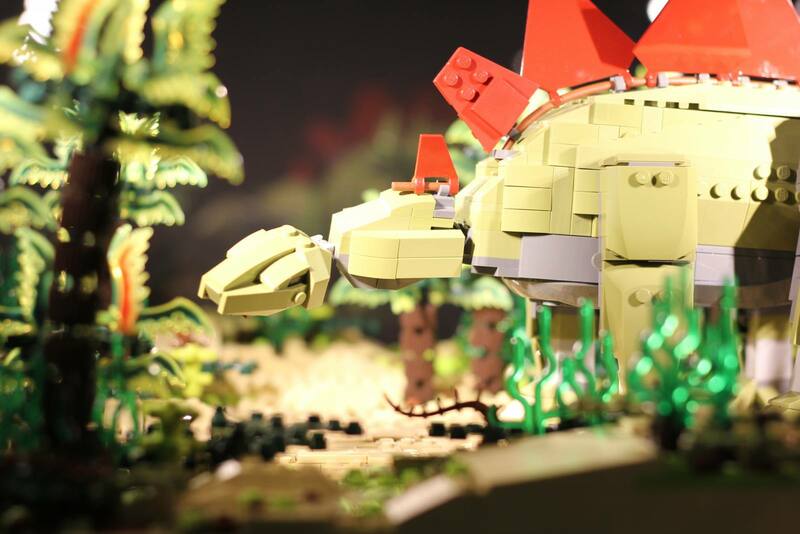 The exhibit runs from February 4th 2017 to June 4th 2017 and is a brilliant display of Brick Dinos! 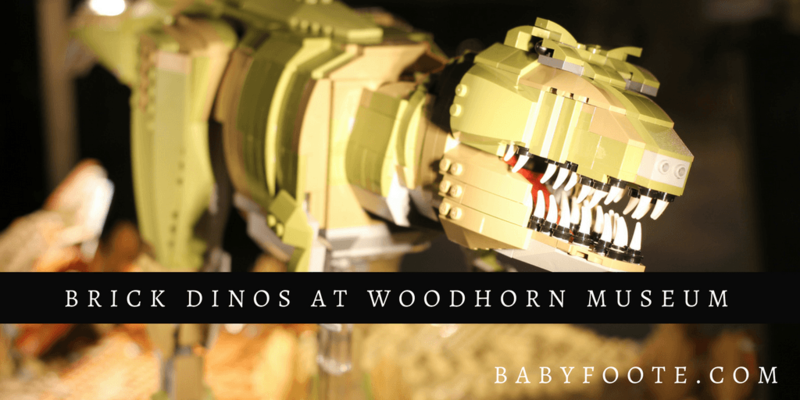 We love Woodhorn museum, in fact it was the fourth entry on this blog, coincidentally also featuring dinosaurs! Read about our visit to see the animatronic dinosaurs at Woodhorn Museum in 2014 here. 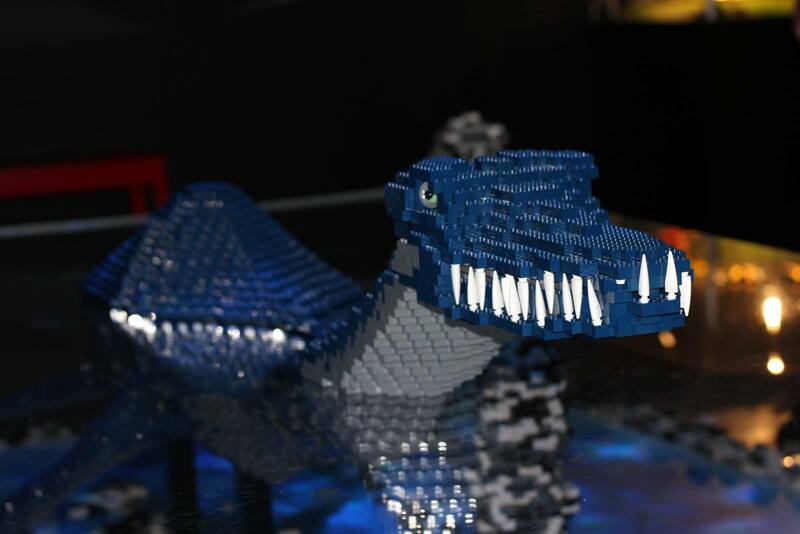 You can see dinosaurs face to face, each one masterfully built using LEGO® bricks. 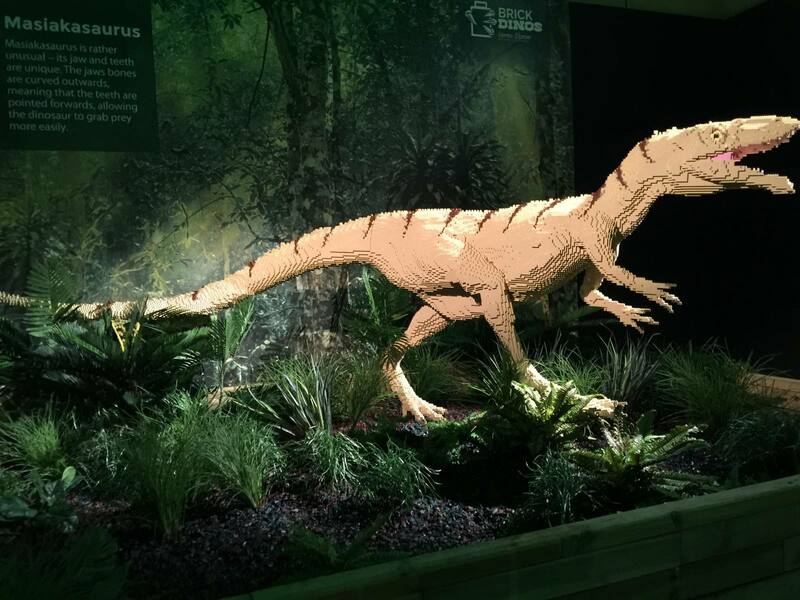 Working in collaboration with a paleontologist, artist Warren Elsmore and his team have painstakingly recreated some of the largest beasts to ever walk this earth using LEGO®. There are dinosaurs in the air, under water, and roaring loudly at the end of the exhibition hall! Admission to the museum itself is free (you need to pay for car parking at £3.50 per day). 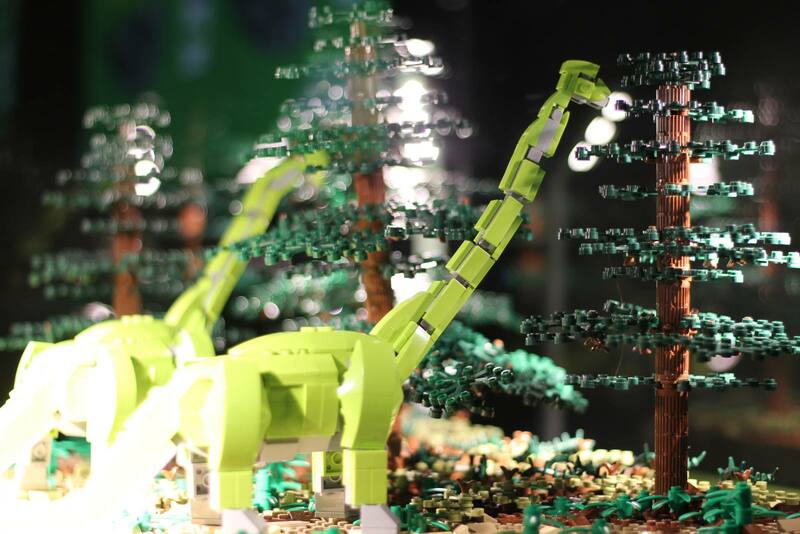 The Brick Dinos exhibit is in a building on the grounds and requires a separate admission fee to be paid: adults £4.50 (concessions £4), children aged 5-16 £3.50 and under-5s go free. There are family passes available. You can pay with a card (hallelujah) but you need cash to pay for the car parking. If you keep hold of your Brick Dinos receipt, you can park for free next time you visit Woodhorn Museum. See the Woodhorn Museum website for full information. We were handed sheets for the Dino Quest at the entry desk. A self-led trail sheet encourages you to explore the buildings at Woodhorn, and to discover more fascinating facts about dinosaurs. 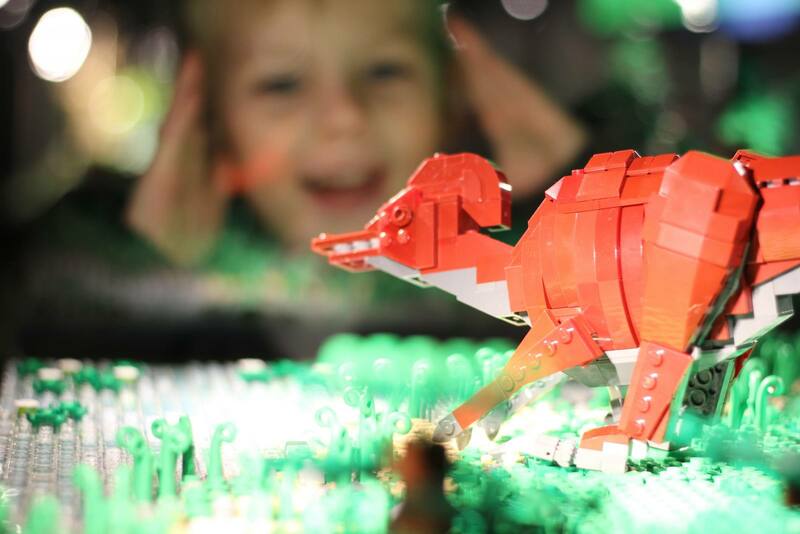 The Quest is free as part of Brick Dinos exhibition, and would suit school aged children better than our two. The first exhibit in the hall is a swimming Mosasaur and really caught the attention of my two boys. They really wanted to touch it and crawl next to it. We weren’t the only parents persuading our children to keep away and not touch, and in fact there was a member of staff, seemingly on patrol, here. Further inside the hall there are large models, for example the screeching Pterodactyl, and the roaring Masiakasaurus, and also small models of dinosaurs and paleontological excavations. 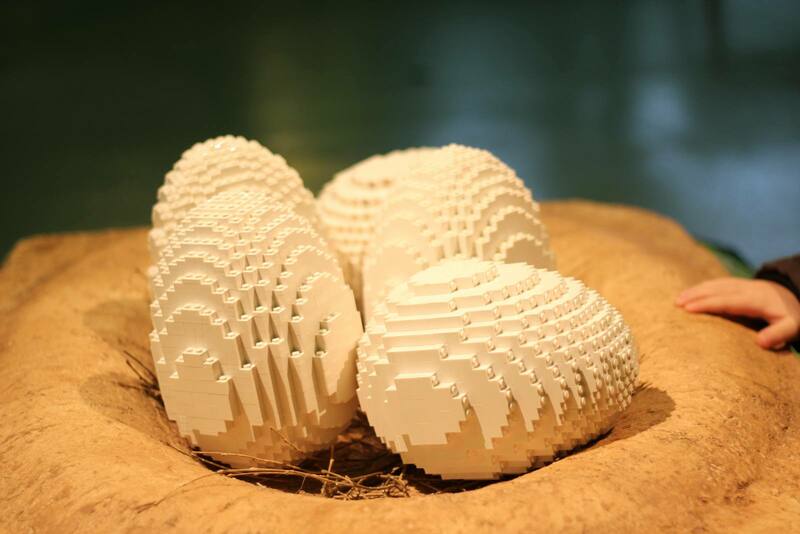 There is a small nest of dinosaur eggs, too. There are instructions on the wall as to how to make some parts of the models, and James wanted me to take a photo of one so he could make it at home. Unfortunately they aren’t complete instructions, but of course there are books available in the shop! On display was a video on how the team made the swimming dinosaur, which was a fascinating look into the process. The building is separated into three: the exhibit hall; the entrance/exit and shop (toilets are at the back of this room); and a hall of further exploration and play. 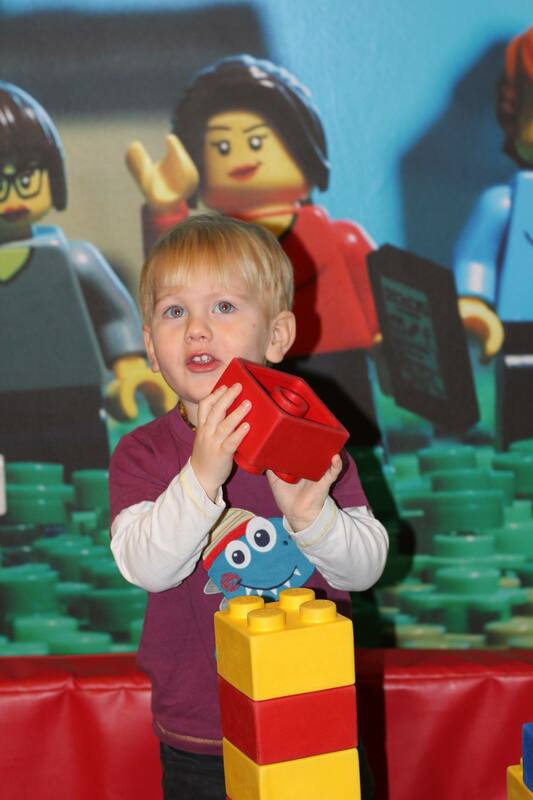 Tables with tubs of LEGO® and DUPLO® blocks are included in the play area, along with a table with colouring sheets, and two Jurassic scenes. 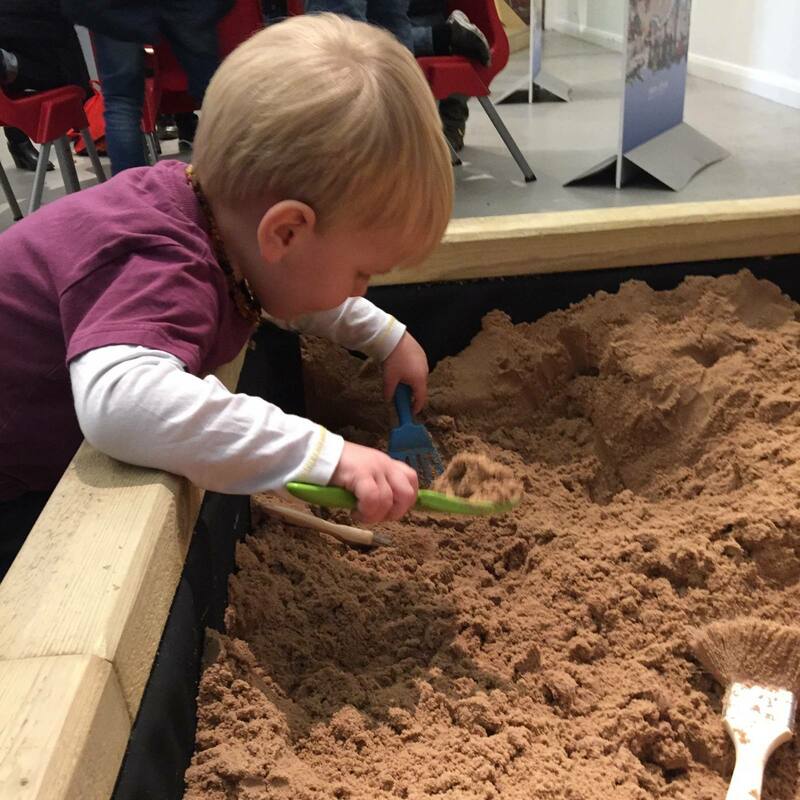 A sandpit is tucked away in the back corner, where you can lean right in with a spade and brush to uncover dinosaur bones! There is a little play area for babies or toddlers with large soft blocks and a squashy soft floor, too. 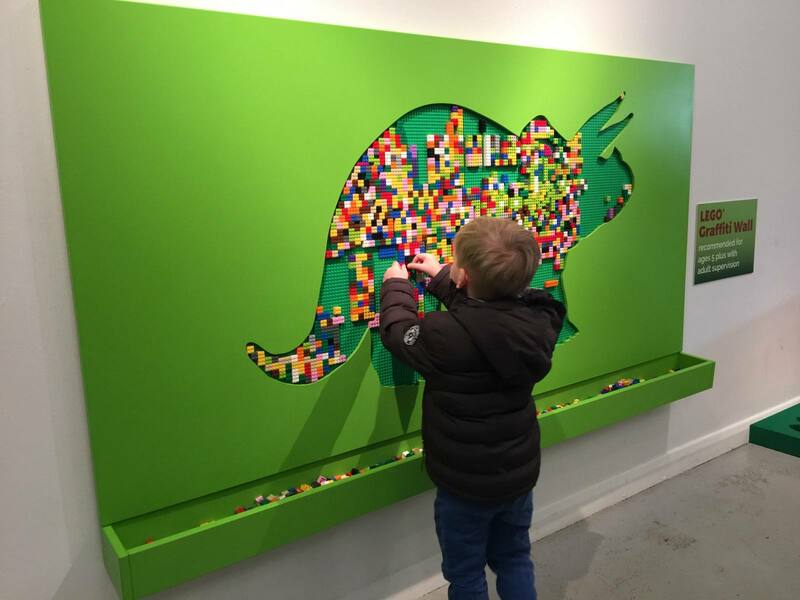 One of the biggest hits for my boys was the dinosaur-themed LEGO® graffiti wall, where you could clip little 4-ers and 6-ers on the wall. It was quite therapeutic, sitting there, pressing the blocks on to make a colourful leg! The whole building has underfloor heating, so it got a bit hot in there with so many layers on, and lots of bodies in the room. Go prepared to strip off a bit! Of course, the way out of the building is past the gift shop. The shop was really well stocked, with such a great variety of products with a LEGO® or dinosaur theme. Some tied in with the brand new LEGO® Batman Movie, and others were dinosaur items. We bought a few notebooks and cards with LEGO® Superheroes on. I spotted, as we were leaving, paint your own LEGO® characters, which I might pop back for because they’re bound to be a hit on a rainy day sometime in the future. We did go on to visit the rest of the museum, and of course ride on the little train. There is a dinosaur themed craft activity on in the main museum building during the hours of 11:30 to 3:30, but we didn’t take part this time. 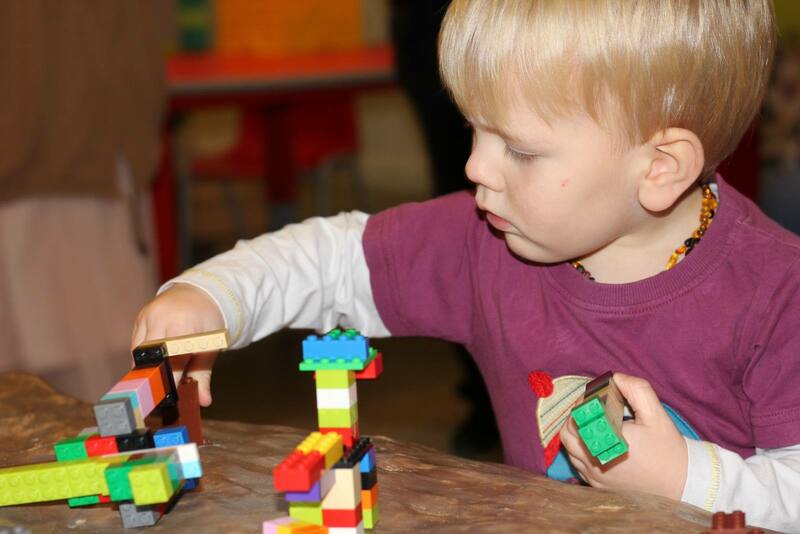 Thank you to Woodhorn Museum, who invited us to visit the new Brick Dinos exhibition today. 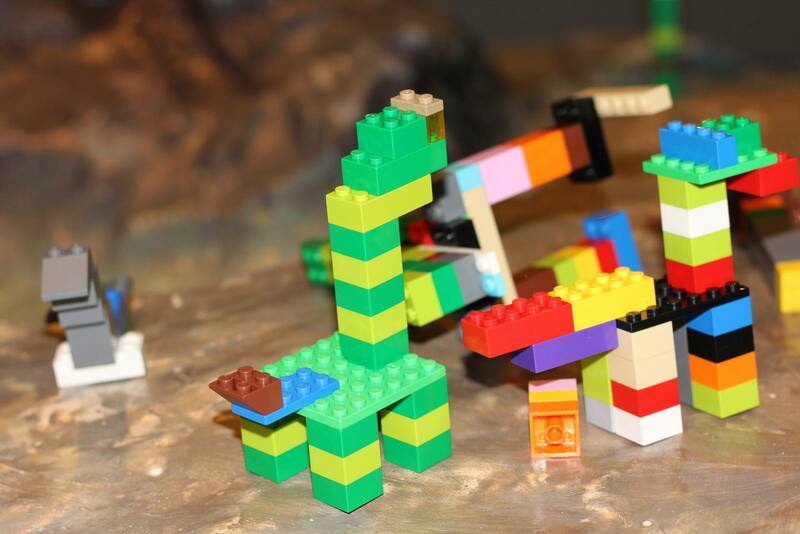 It inspired lots of lovely dinosaur LEGO® building when we got home! It looks great. We’ll definitely head to this at some point. Arlo will love it. He will, I’m sure. 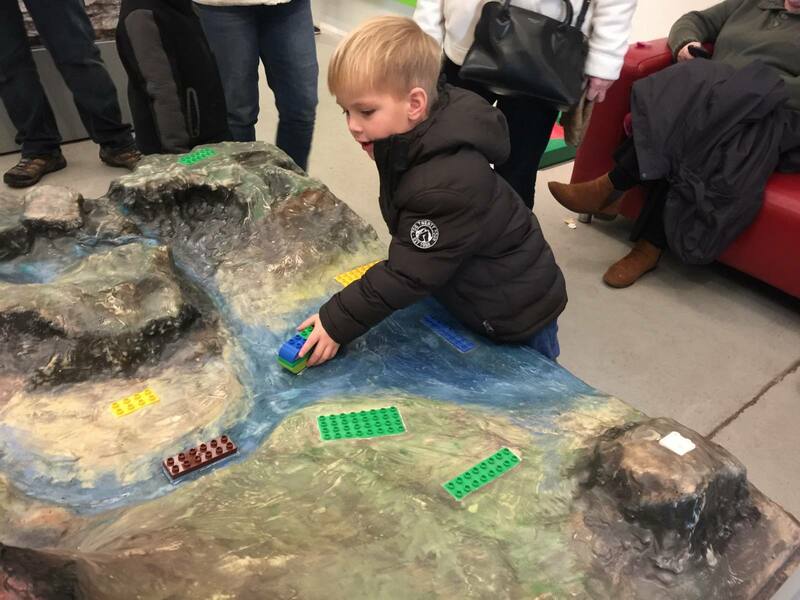 I think the only thing that would make it even better would be a table with outlets for parents to plug in their phones and laptops and do some work while supervising the LEGO building… I jest of course – who can resist joining in with LEGO building!? 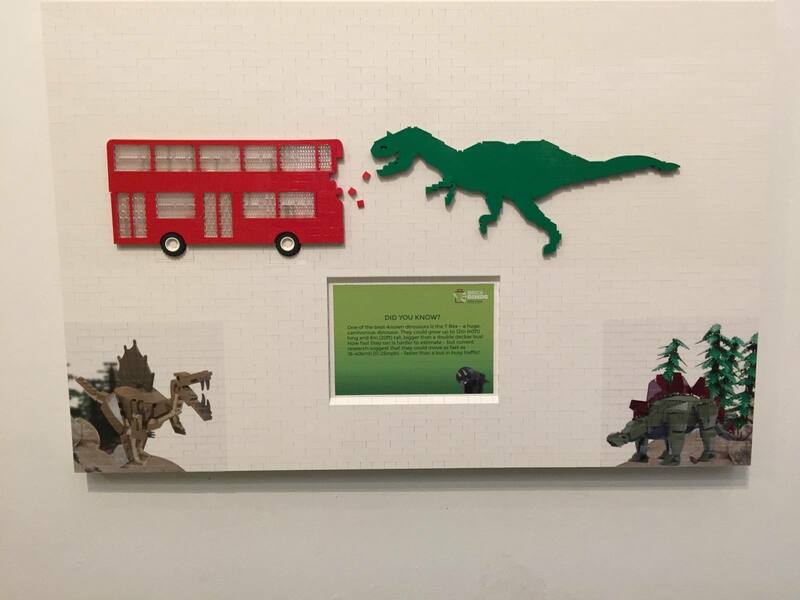 It looks fab – I especially love the lego wall and haven’t seen anything like this elsewhere (well apart from Pinterest of course). I love that you get free parking when you return if you keep your ticket – good incentive! We love Woodhorn too and adored their Frost of Forgetfulness trail over Christmas. Their cafe is very good value too and I’d recommend stopping for lunch. Thank you; it was a bit easier to take photos when the subjects aren’t moving at a trillion miles per hour!